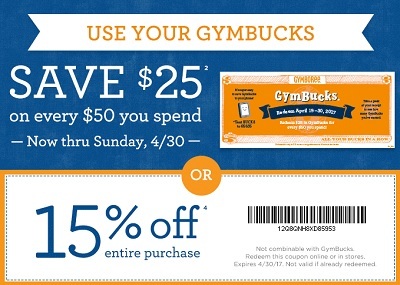 If you do not have any GymBucks use printable coupon whic allows you to receive 15% discount on your purchase. This offer is not possible to combine with GymBucks. More details available at any U.S. Gymboree store location or U.S. Gymboree online.